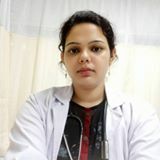 Question: I had gestational diabetes in my last pregnancy and that was 6 years ago.. now iam 6 weeks pregnant and I want to know if it is possible to avoid diabetes in this pregnancy.. or atleast delay it.. as a result of the diabetes and hypertension I had a premature delivery at 30 weeks. Can anybody help me in this? Answer: hi dear! yes you have very high chances of developing gestational diabetes in this one also . you will have to monitor what you eat and also firstly you will have to get your sugar reports done every 2-3 weeks just so that when the reports go high medicine can be given to control it on time dear. you will have to reduce the sugar intake ofcourse and will have to go for walks daily dear. for atleast 30min.also have a low salt diet dear. and monitor your bp as well. take care dear. So i have stopped taking sugar altogether.. also stopped eating rice in the nights..my bp is normal as of now.. is this going to help? I have not started walking yet. my first ultrasound is not yet done.. my doctor opined its very early. So iam going tomorrow to confirm my pregnancy. Question: Hi. I am 11 weeks pregnant. I had a c section 5 years ago. Is normal delivery possible this time? Answer: Not sure,it is commonly said that if your 1st delivery is a C section,the second will also be the same.But since you said it was 5years back,there may be a chance of normal delivery this time..Drink plenty of water,do small exercise after 5 months,try to use Indian toilet at home,try to be active this will all help in normal delivery. Question: I had a c section before 1-3/4 years ago.. i want normal delivery. its possible. ?